It’s hard to get up early every day so that you can elaborately style your hair. Sometimes, there just isn’t enough time and what one really needs is an easy and quick hairstyle that looks great. We completely understand that which is why we have compiled a brief guide some really cool and cute easy hairstyles. This brief starter lists various hairstyles which are suited for hair of different lengths and types. So regardless of what type of hair you have, you will doubtless find one that perfectly goes with your taste and personality. When choosing these hairstyles, we have tried to strike a balance between awesomeness and ease. So you will see that all of these hairstyles can be done incredibly quickly. Gone are the days when you spent hours crafting the perfect bun-shaped style out of your hair. Enter the quick and stylish bun which is one of our top cute easy hairstyles. This hairstyle is incredibly easy to achieve and takes very little time. So if you have gotten up late and need to sort your hair quickly for office, this is the perfect option. To recreate this hairstyle, gather up the hair at front with a headband and tie up the rest into a high ponytail. Now twist the ponytail’s length into a bun and secure it with a few pins. Voila, your elegantly stylish and slightly messy hairstyle is ready. If you have straight hair, this is an excellent way to perk up your regular hairstyle. The reason we have included it among our favorite cute easy hairstyles is simply because it is awesome and yet very handy. To achieve this hairstyle, simply take a streak of hair near your temple, twist it and pull it slightly back from your face. Next, secure this twisted streak of hair with a pin. You can even use a pattern of light-color pins to secure the hair, making the pins a part of your fashion statement. The French-Twist pony is a hairstyle that is well-suited to long hair. However, it may come off as rather traditional. To add a modern and creative twist to it, you can try your hands at the French-Twist Pony Elegance. To recreate this hairstyle, simply draw your hair back into a ponytail and tie up the ponytail into a chignon. You may need a few pins to keep the chignon in place. This quick and simple hairstyle is perfect for a chic and modern look. To top it, it is one of those cute easy hairstyles which take barely 5 minutes. This is a hairstyle that requires a little more effort but is still quite easy and time-effective. To recreate this hairstyle, gather up all the hair from the back of your head and gently sort them up with a comb to add volume to them. Next, tie the hair up in a ponytail and use a thin ribbon to tie the hair, close to the hairline at the front and at your nape at the back. This will essentially tie up the ponytail as well. Draw the ponytail out a little to give it more curve and style. You can smooth up the finished look with just a dash of a quality conditioner. Baby Girl Hairstyles! Having a baby girl is definitely one of the most exciting experiences in every mom’s life. Pink oozes a feeling of love and abundance, and each mom will do her best to make her little princess stand out. Below are a number of simple and fun hairstyles you can pull on your little one, to give them that glamour look. Gently comb baby’s hair to one side and create a side braid. You can fasten it with a colored band at the end. Our second idea out of our baby hair styles is to gently subdivide baby’s hair into two sections: left and right. Comb baby’s hair to the sides and fasten each side with a fun clip. Make a low twisted braid. Pin it with a coloured ribbon or a fun clip just above the nape. Subdivide hair into two sections. Clip the top section of the hair into a side ponytail. Comb the rest of the hair backwards to the nape. Gently comb baby’s hair to the side. Subdivide it into three ponytails. Bind the first pony independently. Now Bind the second pony and adjoin it to the first and the last third pony to the second. You can use different coloured bands if you like, and then use a clip to hold the hair back. Gently comb baby’s hair backwards. Subdivide into three (front, mid, back.) Fasten the front and mid sections into lose knots. Let the back section fall freely. Comb the hair backwards and clip it on the side using an alligator clip. Gently comb baby’s hair back, and then wrap it with a headband. Divide baby’s hair into two sections: front and back. Subdivide the front part into two: left and right. Plait each section onto neat cornrows, and clip them at the middle of the skull. Wrap them over with a fly headband. You can braid with a colour ribbon to create a stunning look. Let the back section of the hair flow. This is more like the duo braids. 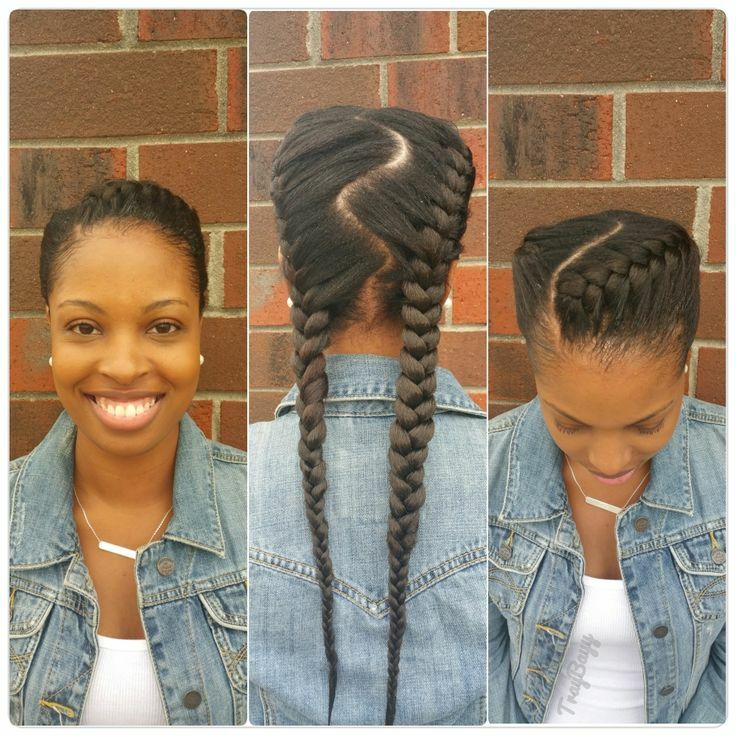 However, instead of the cornrows, wrap the hair round into neat knots, and then wrap the middle ridge with a band. 12. Subdivided baby’s hair into two sections: left and right. Subdivide the left section into three parts: front, mid and back. Using a long coloured ribbon, gently bind the front part and make a lose knot. Continue binding so that the first section is adjoined to the second, and the second to the third. Do the same to the right section. Comb baby’s hair to the centre to make a neat mohawk. Subdivided hair into three sections: front, middle and back. Bind the front section to the middle one, and the middle one to the back one using coloured bands. Clip the last tip with a choice accessory. Babies can get jittery and impatient sometimes. Be very patient! They may hate the course but will definitely love the final look of their baby girl hairstyles. Also note that baby’s hair is still very fragile. Therefore be gentle with your every move. It’s also very important that you keep baby’s hair shampooed and oiled. Let your little girl shine and all the best as you try the baby hairstyles out. We’ve collected these images of Latest Short Hairstyles For Women for you to enjoy. Use the Latest Short Hairstyles For Women as inspiration or ideas for your appearance. Enjoy! Any fan that would like to look like Selena Gomez can now accomplish this through a bit of effort and hard work. If you think Selena Gomez has a look that you would like to replicate, this is something that you can work on in order to enhance your appearance. As you probably know, she is one of the most popular singers in the world today. Much of her success is to do with the way that she looks, you can create the same beauty by simply putting basic concepts into practice. Getting hair like Selena Gomez means that you will need layers. If you do not currently have layers in your hair, you should go speak to your styler and have them add beautiful layers that can give your hair a much fuller appearance. It is important for you to know that your hair does not have to be a specific color in order to make you look like Selena Gomez. However, she has black-brown hair that you could easily duplicate the look of with a bit of high quality coloring. The use of electric rollers on your hair is something quick and easy that you could do in order to get it as straight as Selena Gomez is often seen wearing her hair. In order to have lips as pink and pouty as hers, you want to apply a thin layer of chapstick that is going to help the product stay in place without giving you trouble. Next, you want to apply a thin layer of lip gloss that is going to make your lips pop. When you combine this with a pouty expression, you will find it helps you get a lot of attention. Investing in metallic eyeshodow and brown eyeliner would be important for completing your look. I think wedding is the most important occasion in a women’s life. So its important that she should look perfect that day. Starting from her outfit to her hairstyles everything should be perfect and stylish. In this article I am going to talk about Wedding Hairstyles for Brides.Whether you’re planning a wedding or it’s your best friend who’s walking down the aisle, we’ve got the perfect wedding hair inspiration. So whether you’re the bride-to-be, bridesmaid, have a wedding to attend in the near future, or are just looking for some hairstyles with a little extra touch you need, you’ve come to the right place. I have already talked about Latest Bridal Wear for Women, so If you also need some ideas how your dress would like you can check Bridal wear for Women and share your views with me over there by commenting below the article.